Seat Belt Covers – Black (Click free shipping at checkout) – Turtle Towels! These seat belt covers come as a pair. One for the belt, and one for the shoulder. They are made from the same soft, washable, waterproof material as the Turtle Towels. 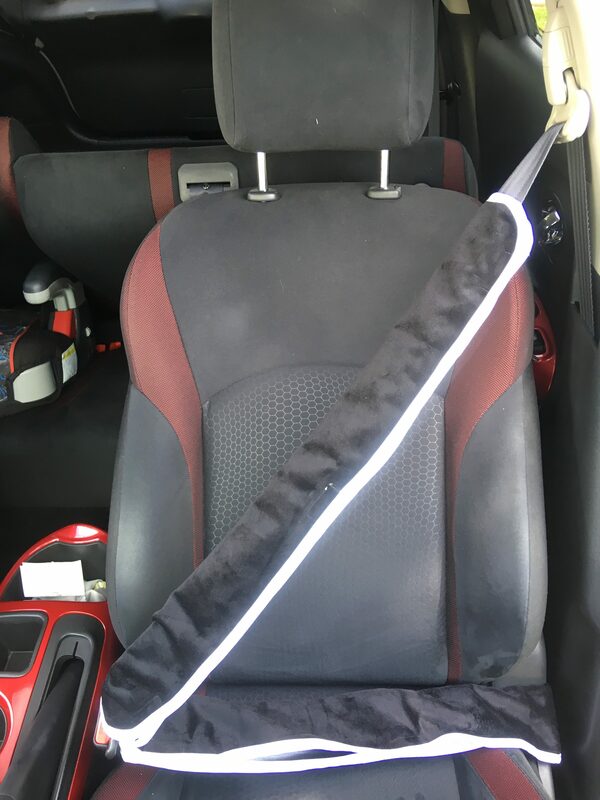 To install, simply velcro over the belt and there are buttons at each end that can be used to attach them so they stay together when the seat belt retracts. They are long enough to cover the whole belt and they collapse enough so you can leave them on the seat belt when retracted. 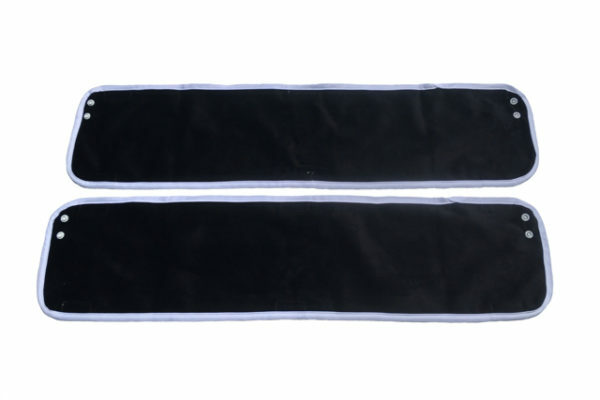 They are 27 inches long and 6 inches wide (3 inches wide when folded over the belt).